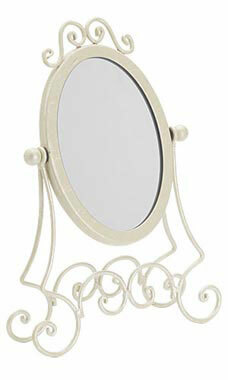 • Mirror 4" x 6"
Give your customers a reason to buy when they see their reflection in our designer boutique mirrors! Perfect for counter tops, next to a jewelry display, or aside a make up counter! Looks best combined with any of our pieces from the ivory collection. Overall height is 11 ½”. Mirror is 4” x 6”.